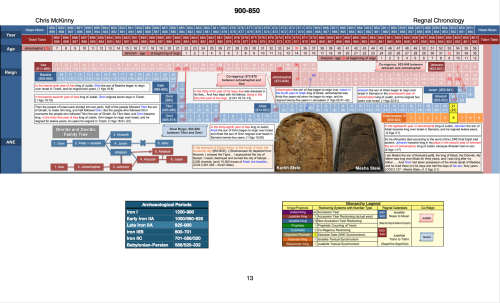 A digital handbook full of charts illustrating the chronology of the biblical kings of Judah and Israel. 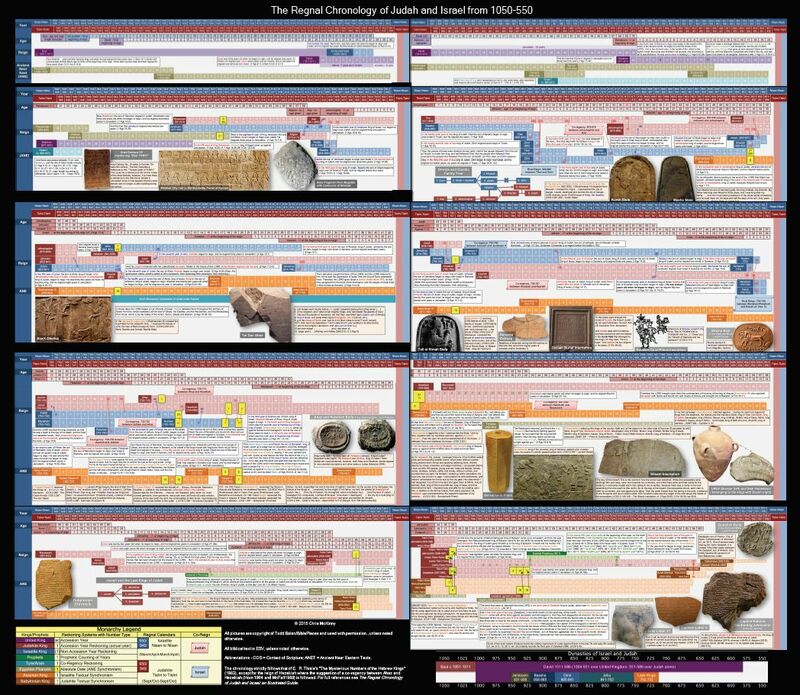 The chart consists of a series of ten 50-year panes that cover the chronology of Israel and Judah from 1050 to 550 BC. 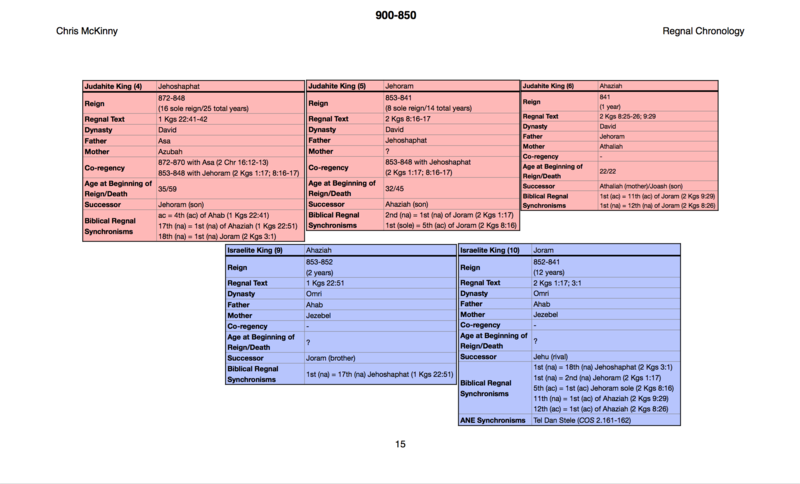 Each pane is accompanied by a breakout chart of all of the available regnal details of each king. Extra-biblical texts and photographs have been included to supplement and illustrate the chronology. 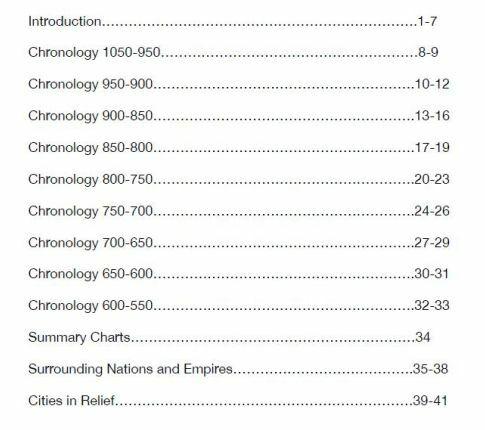 This includes a summary of each of the intersections with the major imperial powers of Egypt, Assyria, and Babylon, and detailed charts of the known kings of the surrounding nation states (e.g., Moab). All of this is lavishly illustrated with over 100 high-resolution photos from the Pictorial Library of Bible Lands collection. See a pdf sample here. Chris McKinny has a PhD from Bar Ilan University (Israel). His dissertation focused on the historical geography and archaeology of the town lists of Judah and Benjamin in the book of Joshua. Chris is also a core staff member of the Tel Burna Archaeological Project and currently involved in several other writing and research projects. 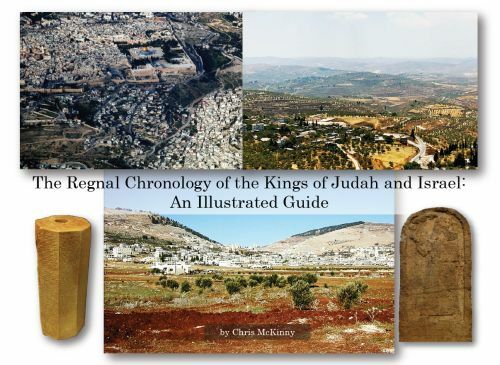 His recently released My People as Your People: A Textual and Archaeological Analysis of the Reign of Jehoshaphat (2016) was published by Peter Lang Publishing. Chris currently serves as an adjunct faculty member at Texas A&M University Corpus Christi, The Master’s University (IBEX), and William Jessup University. 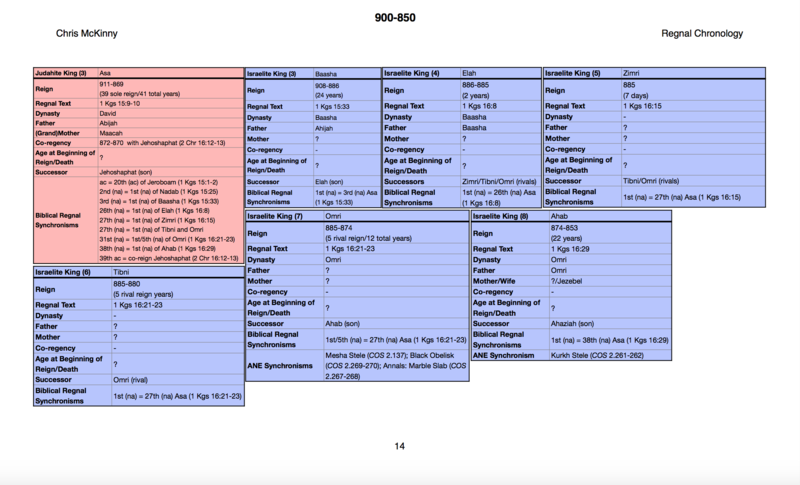 For questions about the Regnal Chronology and discounts on bulk purchases, please contact us.